Sydney designer, Darren Genner of Minosa (www.minosadesign.com), has much to celebrate after winning a swag of awards at a spectacular Gala event in Brisbane on Friday (8 August), including a highly esteemed national award (for the second year running) and a place on the KBDi Designers International Tour to Cologne and Paris next year. Over 200 design-savvy guests from across Australia gathered at the stunning Victoria Park complex, where the Kitchen and Bathroom Designers Institute (KBDi) celebrated the ‘inspiration, innovation and imagination’ of Australia’s finest kitchen and bathroom designers. 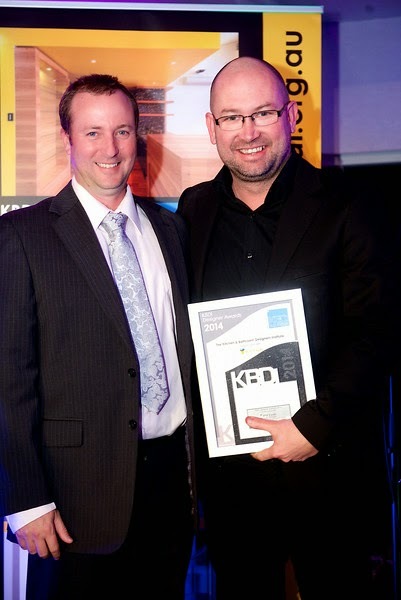 Darren, who was also last year’s KBDi Australian Bathroom Designer of the Year, continued his winning streak this year by collecting a number of awards. The first of the evening was the accolade for KBDi Designer - Small Bathrooms NSW 2014, followed soon after by the award for KBDi Designer – Large Bathrooms NSW 2014. Darren’s entry in the large bathroom category then went on to secure him the title of KBDi Bathroom Designer of the Year 2014 – NSW and the coveted title of KBDi Australian Bathroom Designer of the Year for the second year running. This award will once again see Darren taking his place on the KBDi Designers International Tour, with visits to Paris and Cologne in January 2015. About Darren’s winning project: Design prowess and acute attention to detail are the key attributes of Australia’s finest designers, and this designer has ticked both the boxes with his winning bathroom design. 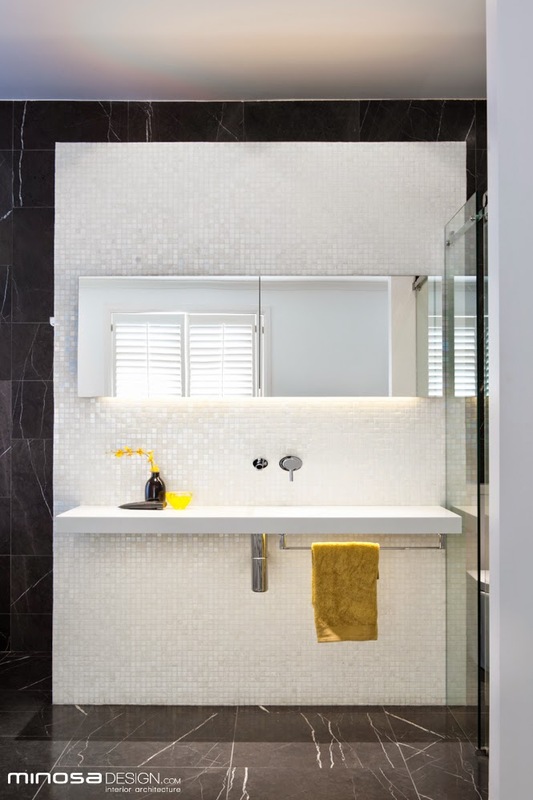 The clients had very specific desires for a modern and contemporary styled bathroom with a ‘touch of bling’, to match their recently completed renovations. Their existing bathroom space had limitations – the area was narrow and dominated by a large colonial style window that could not be altered. The designer successfully manipulated the challenging area, meeting the practical needs of the homeowners and conquering the physical constraints of the space. The designer completed the room with a stunning combination of finishes and features that pleased both the clients and the judging panel. The KBDi kitchen awards were proudly sponsored by registered training organisation, Designer Training (www.designertraining.edu.au), and the KBDi bathroom awards were sponsored by Pytha 3-D CAD Systems (www.pytha.com). Lincoln Sentry was proud to support the program too, sponsoring the highly esteemed award for KBDi Australian Certified Designer of the Year. Minosa is an innovative Australian design company, specialising in the local boutique manufacture of high quality washbasins and bathroom furniture and stand-alone design concepts for contemporary bathrooms and kitchens.